Of all of the types of blemishes, the ones that are due to hormones and “that time of the month” are the most challenging to deal with. Often times, they are cystic in nature. Those hard, sore bumps under the skin for which a product like Anti Bump Solution addresses. But how do you know if your acne is hormonal and what can really be done to prevent it? I’m certainly asked this a lot and while it’s always hard to know the true cause of any blemish that appears on the face, there are some steps that you can take to help get your skin clearer. How do hormones affect the skin? During your teenage years, hormone fluctuations can aggravate the skin and cause blemishes. Estrogen, a natural anti-inflammatory hormone, will keep things calm, but around the time of a young girl’s menstrual cycle, the drop in estrogen can cause the skin to flare up resulting in monthly breakouts. Testosterone and other androgens increase oil production and the tendency towards clogged pores can be exacerbated. Those with sticky sebum (oil) or weak follicular walls will experience regular daily or weekly breakouts (a genetic trait), including stubborn cystic acne because the oil gland is located in a hair follicle with a narrow opening. This weak pore lining causes bacteria to leak out into the surrounding areas. (This is why squeezing at your blemishes is a huge no-no.) Your immune system then perceives this as an infection and fights it by causing inflammation resulting in a red, noticeable blemish. During your 20s, (particularly in the early to mid-twenties), hormones from your teenage years should start to level out and breakouts should be less. However, fluctuations in hormone levels right before and during a young woman’s period can stimulate sebaceous glands to produce excess oil resulting in monthly breakouts. Also, since many in their 20s take birth control pills, this may have an impact on breakouts since it can affect your natural hormonal balance, positively or negatively. But aside from monthly hormonal breakouts, the skin is generally much calmer, but dehydration is more prevalent because of increased progesterone levels affecting water retention, so it’s important to keep the skin hydrated with a product like Skin Drink. During your 30s, (especially between ages 30-33), growth hormones slow down. The result is often little lines developing under the eyes and possibly around the mouth which can be (and should be) a wake-up call to start getting serious about caring for your skin. Stress hormones on the other hand, are in full swing since many women are juggling family, a busy household and/or a busy career. Stress not only affects acne flare-ups, in general, it worsens the overall skin condition. It induces the adrenal glands into overproduction of cortisol, a steroid, which in turn makes sebaceous glands produce more oil and make skin extra oily. This is the reason why in stressful periods people experiencing an increase in acne will get more inflamed, puss-filled papules versus simple smaller whiteheads. As for the 40s and beyond, hormones most definitely play a role in the skin but not as much related to breakouts. Read about how hormones affect the skin in your 40s, your 50s, and your 60s. How do I know if my breakouts are hormone related? If they seem to appear around the same exact time every month (often times before the start of your menstrual cycle), then these could definitely be considered hormonal. 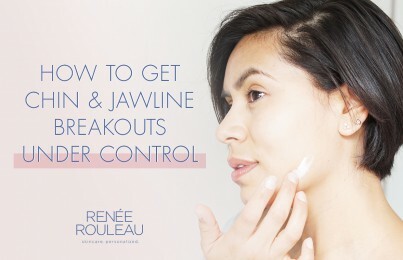 If the breakouts are mainly on the chin and jawline and are the cystic type, which appears as hard, painful bumps that develop deep within the skin and linger for weeks, these too could be related to hormones. If your period has been changing. For example, your flow is heavier or lighter or has shortened or gotten longer. Essentially, any newer inconsistencies might be a sign that there has been a change in your bodies hormone levels. If you have recently gotten pregnant or have gone on or off of birth control pills, this most certainly could be a cause since these most definitely have an effect on hormones. What can be done to prevent hormonal blemishes? Take Vitamin B6 daily one week prior to your cycle. This supplement may help ease PMS symptoms by improving metabolic function and hormone metabolism. In addition, vitamin B6 can help the body manufacture neurotransmitters, such as serotonin, which aids in the body’s ability to cope with stress. 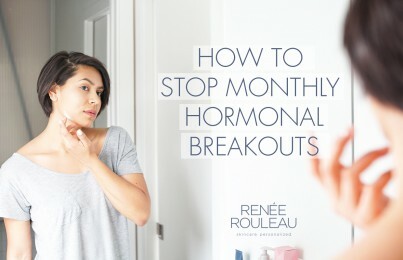 I have some clients who feel this works well for preventing their monthly breakouts, but every person’s body chemistry is different so you’ll just have to experiment. Try eliminating dairy from your diet. When you develop cystic breakouts (those hard, painful, underground blemishes that linger for weeks) on the chin, jawline and neck area, it might be a sign that you’re getting more dairy in your diet than your body can tolerate. The hypothesis is that since the majority of milk in the U.S. comes from pregnant cows (and some cows are given growth hormones), the hormone levels in milk may play a role in excess sebum production, which promotes acne. Since sebum production is influenced by androgens and hormonal mediators, (such as insulin-like growth factors found in milk and other animal products), the consumption of milk, cheese and yogurt may become factors that influence endogenous hormones and mimic the hormones that trigger oil production in the skin to ignite the acne process. The best way to determine if your acne cysts are directly related to your intake of dairy is to completely cut cheese, yogurt, ice cream, and milk out of your diet for at least three weeks. If you don’t develop any new cysts and you normally would have by now, then this might solve your problem! It doesn’t mean that you cannot eat any dairy at all. Slowly introduce dairy back into your diet, and at the point that you start breaking out again is your body’s tolerance level. Try taking oral probiotics. Our digestion can be affected by stress, which shifts our inner microbial systems leading to inflammation. This, in turn, changes the type and number of bacteria that live in the gut to unhealthy bacteria. Eventually, the gut lining becomes leaky and toxins are released into the bloodstream causing inflammation throughout the body. This can result in a flare-up of breakouts due to the shift in gut bacteria, and subsequent inflammation. Oral probiotics may regulate the imbalance of bacteria and reduce oil levels to treat acne. You can find it in health food stores as well as get it from eating yogurt with live active cultures (assuming dairy isn’t your cause of breakouts), miso soup, and sauerkraut. Keep track of your daily life with a calendar for three months. The best way to really understand how your life and habits may affect your skin is to record your daily life on a calendar. You’ll want to track things like your diet, weather, travel, sleep and more to see if you can find any possible patterns. Read more about this here. Drink hot lemon water first thing in the morning before you eat or drink anything else. Squeeze fresh lemon into a mug full of hot water and drink it when you wake up. If you don’t have a fresh lemon handy, you can pour in lemon juice. Use enough so that the water tastes very lemon-y. This will help flush out and purify the body internally, potentially reducing toxins and bacteria in the small intestine where the cycle of acne may begin for some people. A week prior to the start of your menstrual cycle, tweak your skin care routine by adding in a few products such as a cleanser or mask that focus on keeping acne-causing breakouts from appearing. Did you know? Just before the start of a woman’s cycle, there is more progesterone in the skin causing water retention resulting in the skin appearing puffier. When this occurs, it puts pressure on the pores and creates a narrower pore lining. Additionally, oil can get thicker because of the imbalance of hormones and the increase of testosterone during the pre-period hormonal shift. When you have thicker oil trying to get through a narrower opening, this creates an environment within the skin where breakouts can now begin. The key to preventing monthly blemishes is to use products that contain calming, anti-puffiness, anti-bacterial ingredients like salicylic acid, Chinese licorice, and tea tree. 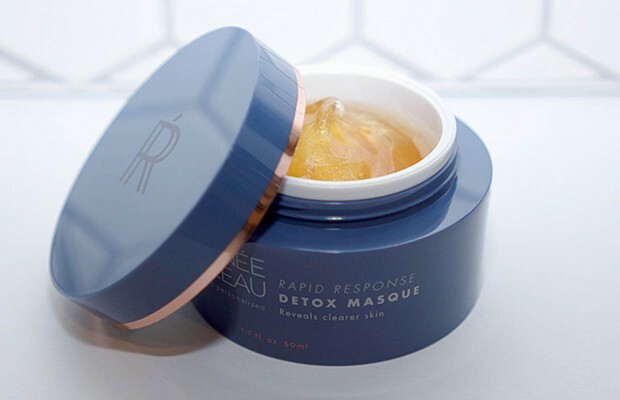 These can penetrate into the pore lining to keep pores clear as well as offering exfoliation and calming to prevent bacteria from getting trapped under surface dry skin cells. My favorite products with these ingredients that my clients have great results with are BHA Clarifying Serum, AHA/BHA Blemish Control Cleanser and Rapid Response Detox Masque. You have to understand that acne is an inflammatory disease of the skin so the goal with hormonal breakouts is to not dry out your skin with harsh acne products, especially when the breakouts are occasional and appear only on certain areas of the face. Instead, treat the skin using calming ingredients to visibly heal the skin. Consult with an experienced esthetician or skin care professional to help guide you on the best skin care routine for your skin type. 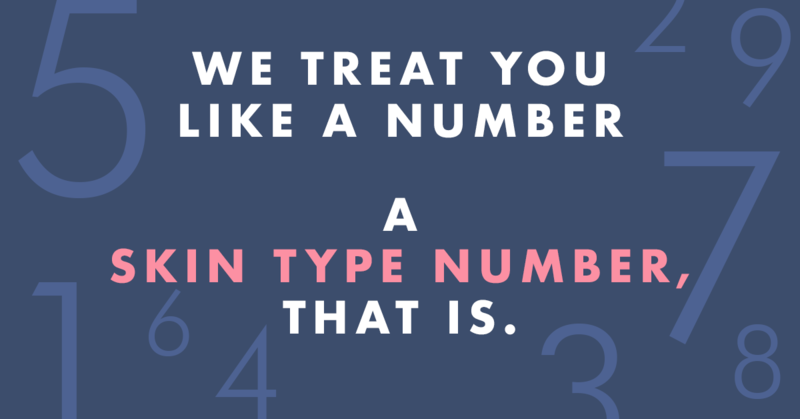 Be sure to take my Skin Type Quiz. Consult with your doctor. A gynecologist may be the most beneficial type of doctor to see since they work more closely with women and have a better understanding of hormonal fluctuations. They will most likely have your hormone levels checked via a blood test and prescribe oral medications such as birth control pills (or switch your current dosage) or spironolactone, a popular drug that can work well for balancing hormones. Some doctors take more of a natural approach and may suggest vitamin supplements or have dietary recommendations. A gynecologist client of mine told me that she has seen a lot of patients experiencing adrenal fatigue that can lead to acne as well as a host of other symptoms, so you may want to search the web for more information about this condition. If you should decide to consult with a dermatologist, they will often put their patients on a prescription retinoid but in my experience, this will rarely help improve inflamed, cystic or pustular hormonal breakouts. Retin-A or Renova works best for those who get closed comedones (smaller whiteheads, blackheads, bumps and clogged pores) because it works to restore the organization of cells through cellular turnover in the epidermis to reduce the bumps and smooth the skin—and this doesn’t really help to treat or prevent hormonal breakouts. You can read more about this here. So while the body’s hormones will always have a life of their own, I hope these helpful tips can make some improvement for you. Is it best to have all three products – post-breakout fading gel, anti-cyst treatment, and the daytime blemish gel? Or do I choose between the anti-cyst treatment and the daytime blemish gel? If you’re just wanting to purchase two, then get the Post-Breakout Fading Gel and the Anti Cyst Treatment since they address your two main concerns. Hello! If I suspect dairy to be bad for my skin (since I get cystic acne near my jaw line) is it okay to take an oral probiotic while avoiding foods with dairy? Or can those oral probiotics still cause cystic acne? I think an oral probiotic should be fine to take. I haven’t heard any feedback about that causing a problem for people. 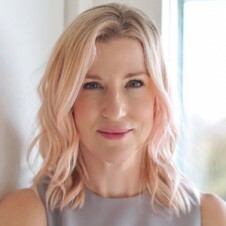 Hi Renee, I have a question regarding the BHA cleanser recommended for skin type 3. Can the cleanser make the skin purge? I have tiny bumps on my face that are more apparent now than before using the cleanser. I feel like they’re bring them to surface. Any feedback is appreciated! Hello Lynn, Read this post! So, I have a quick ? and instead of googling and finding all kinds of info that could or could not be correct I immediately thought of coming to a reliable source. So, I tried a new product (a miceller water)on my forehead area and used it 2 times. I didn’t use it again bc I didn’t care for it but a couple days later my forehead is now covered in tiny bumps/pimples. They are not under the skin big cystic ones….they are small little pimples but a bunch of them. They are also not itchy. My question is…. I have resumed my normal skin care so how long should it take to clear up? My forehead was clear before the miceller water! No I did start a product 2-3 weeks ago and only used it between my eyebrows where I was really dry. But I didn’t think that could break out my entire forehead? So….What would u say would be the culprit and how long should it take to clear? Thank you in advance!! It’s impossible for me to say how long it will take to heal as I simply don’t know enough about your skin and without seeing it, it’s even harder. I wouldn’t think that the product you used a few weeks ago between your brows would break out your entire forehead. I’m making an assumption that the micellar water was simply not a fit for your skin type.